We guarantee to get you a Project Management job. It’s that simple. Do you want to kick start your Project Management career in Australia? If you want to enter the lucrative world of project management, this is your chance. Whether you are project management professional with overseas experience, a recent project management graduate or looking to establish a project management career, we have the solution. Our job programs give you what you need – highly sought after certifications + Australian work experience + interview preparation. The job roles after project management program may include but are not limited to getting you a Project Officer, Project Management Assistant, Project Management Coordinator, PMO- Project Management Officer, Project Lead, Agile Project Manager, Technical Delivery Lead, Project Manager, Programme Manager roles. Enrol Anytime: Project management job programs commence every week. Keeping in view the importance of certifications in Australian job market, the program includes hottest ITIL, PRINCE2 and BCS certifications, all courses are instructor-led and fully hands-on, course material is provided for all courses, exam preparation, exam vouchers and pre-job preparation is included. Finally work experience is provided at Logitrain and guarantee three also lands you a project mangement job. 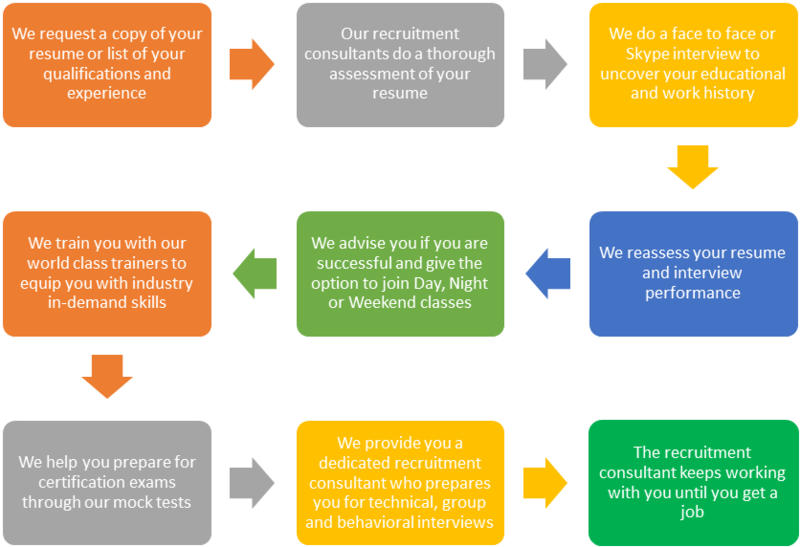 What’s holding you back, enquire now and get the project management job you always wanted.